THE WITS Tang Soo Do team bagged a total of four nominations as Wits University led the pack with eight nominations at the Gauteng Sports Awards. The nominations took place in Greenhill Stadium in Randfontein earlier this month. The Tang Soo Do team has had a great year so far and the recent nominations have topped it off. The team got the nod for Sportsman of the Year, Sportswoman of the Year, Most Promising Athletes and Team of the Year. 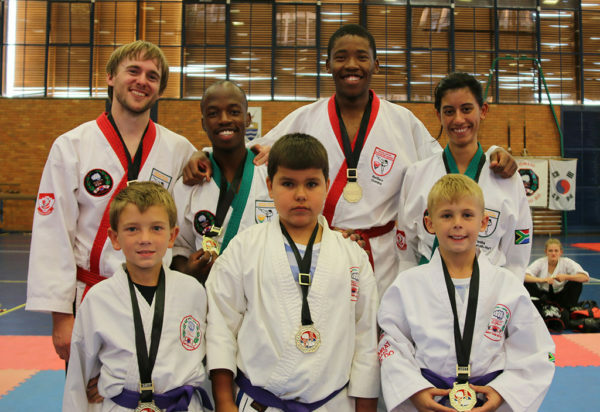 Coach of the Wits Tang Soo Do team Gregory Hart said the team did exceptionally well throughout the year winning over 140 medals. He credited the success to the upbeat team spirit. “The brotherhood and sisterhood among the team members is strong. The older members are always looking after the younger members,” he said. Sportsman of the Year nominee Kim Lucas told Wits Vuvuzela that the martial arts culture is designed to be a family, therefore the support structure is expected. He expanded on how addictive the sport is, saying, “I think once you start it’s difficult to stop.” Lucas has been in the club for six years and has just been graded with his black belt making him eligible for the national team. Most Promising Athlete of the Year nominee Madimetja Malebana said it was an honour to receive such recognition. “I was shocked because I did not expect it,” Malebana said. Wits University’s nominations included Disabled Sportwoman of the Year, two nods for Coach of the Year and another nomination in the Most Promising Athlete of the Year category. The Wits Sports Development Officer, TK Chinamatira, said the Wits Sports Council functions as a structure that supports teams and helps balance the team members’ school and sport lives. Furthermore, he told Wits Vuvuzela that the lack of funding did not discourage teams instead “it made them work even harder”, he said. Chinamatira said the clubs are more likely to be sponsored when teams perform at a higher standard. The Tang Soo Do club expects to be joined by two female players from the national team which will benefit the club in 2018.